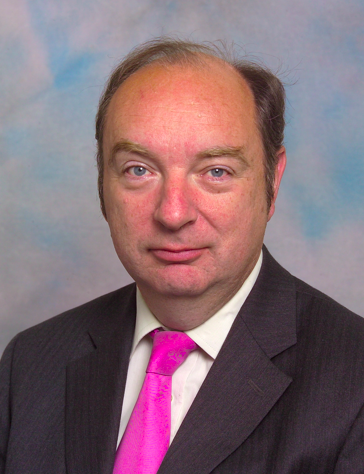 Last year Norman Baker – sitting alongside ex-road safety minister Mike Penning – told the Transport Select Committee that Britain has a better safety record for cycling than the Netherlands, because fewer people, per 100,000 of the population, die cycling in Britain than in the Netherlands. This meant – according to him – we don’t have much to learn from the Netherlands about cycle safety. […] Baffled – it’s more or less universally known that cycling in the Netherlands is considerably safer than here – I called the DfT press office. The response was amazing. Baker and Penning were quoting casualty rates per 100,000 people. That’s right, a statistic which takes no account of the fact that the average Dutch national cycles around 10 times further per year than the average Briton. After that impressive performance in 2012, I am pleased to report that Norman has sprung back into action, with yet another misleading statistical comparison between Britain and the Netherlands. The Coalition Government’s level of funding for cycling compares very favourably with other European countries. In this Parliament we have allocated £3.50 (€4.20) per person per year to cycling (based on £277 million invested since 2010 directly for cycling and the £600 million allocated for the Local Sustainable Transport Fund where 94 out of 96 projects contain a cycling element). For example, research by the European Cyclists’ Federation states that national funding in Denmark is only around €4 and around €3 in the Netherlands—two countries recognised for their commitment to cycling. Baker is claiming here that ‘national funding’ for cycling in the Netherlands is around €3 euro per person, per year, which falls below the amount of money ‘we’ (i.e. Government) have allocated to cycling in Britain, per person, per year, since 2010. The source for this figure of €3 seems to be this ECF fact sheet, which states that the Dutch government spends €49m per year on cycling, which – with a population of around 16 million people, does indeed work out at about €3 per person, per year. The problem with this figure, however – as several Dutch residents pointed out to me on Twitter – is that only a very small proportion of cycle funding in the Netherlands comes directly from central government. This figure of €49m is in fact only 12% of the total €410m spent each year on cycling infrastructure in the Netherlands, according to this very same ECF fact sheet, which amounts to a rather more impressive €26 per person, per year. The great bulk of the spending on Dutch infrastructure flows through towns, cities and provinces, not directly from central government. So this is statistical sleight of hand by Baker – it is the equivalent of claiming that money the Dutch government has allocated to councils for spending isn’t actually spending at all; only the money spent, directly, by central government counts. To make an accurate comparison with Britain, Baker should surely only compare the money spent on cycling by central government here, through the Highways Agency. But he hasn’t done that – he’s added up all the tiny sums of money spent on cycling by councils and by central government in a rather silly and transparent attempt to make his government look far better than it actually does. And not just money spent on cycling; oh no, he’s even chucked in the entire Local Sustainable Transport Fund spending into his sums, on the grounds that many of the projects have ‘a cycling element’. Well, yes… But of course in reality only a fraction of that £600m is actually being spent on cycling. The academic Rachel Aldred estimates it to be around 10% of the total LSTF pot, while Matt Turner has been compiling an LSTF spreadsheet which shows cycle spending to be, at best, around 30% of the total spend in the LSTF projects he’s examined so far. So Baker has included hundreds of millions of pounds of spending on projects that don’t involve cycling, at all, in his comparison between the two countries. The more you examine this, the more and more dishonest it looks. Not only has Baker made a comparison between the total amount of money spent across Britain on cycling with the tiny percentage spend directly on cycling by Dutch central government, he’s even included a huge amount of spending that has nothing to do with cycling. Baker should, quite obviously, be comparing British spending specifically on cycling with the €410m spent per annum in the Netherlands. It is also important to mention that this €410m total figure for the Netherlands does not even tell the whole story, as David Hembrow (in an update to an earlier post) explains. Total spending actually amounts to €487m, but even this doesn’t include spending on cycle parking, or on non-infrastructure measures, that have undoubtedly been included in Baker’s tallying up. Dutch officials estimate that spending on these measures is roughly equivalent to the €487m spent per annum on infrastructure. So, all things considered, this is really quite an embarrassing attempt by Baker to suggest parity between the two countries. Britain is still spending a pitifully small amount on cycling. This entry was posted in Department for Transport, Norman Baker, Statistics, The Netherlands. Bookmark the permalink. I think it tells us all we need to know about this government’s real interest in cycling. And let’s not talk about value-for-money; if we compare the millions spent on blue paint here to the proper cycling infrastructure there, Baker’s lies are even more embarassing. Considering the awful state of the infrastructure that they’re putting in – 2ft wide bike lanes, door zone bike lanes, blue paint (which we all know makes cyclists invulnerable to left hooks), etc., I would hope that the government would spend nothing at all on cycling facilities and leave us with the standard road, which kills and injures cyclists less frequently than the half-arsed bike facilities that the more ignorant cycling advocates consider to be safer than the road. Nobody is asking for ‘half-arsed bike facilities’. We are demanding the quality infrastructure that exists in the Netherlands, that has a proven safety record. Take a look at my previous post. Yes, it makes a big difference to safety, because all the cyclists gave up and drive their cars instead. If you want people to cycle instead of driving their cars, you need to plan for the bicycle not as an after thought, but as your first thoughts, with motorised transportation being the afterthought. You might want to pass the article on to the BBC Radio4 “More or Less” team as they do exposes on dodgy statistics. They did a recent article on cycling and the BBC risk assessment department told them they needed to wear helmets and hi-viz! I second this suggestion! This is exactly the sort of stuff MoL deals with. I truly hope Norman Baker reads this and has the decency to comment. Oh sorry, he’s in government! On the other hand, if he is simply reading a note prepared for him by a DfT underling he should be made aware of this glaring ineptitude so he can correct it and bang a few heads, Oh sorry, he’s in government! Lost for words. I think I’ll just take to the streets on my bike with my kids, after all it’s safer than holland. OK kids, no need to ride on the pavement, just mind the articulated lorry, maybe after school we can go for a bike ride on one of the roads round Ely, they are all national speed limit and Norman Baker says we can ride on them. I think I might cry. He’s not “playing with statistics”. He is *lying*. Plain and simple, clear as day: Norman Baker is a liar. Although his phrasing is chosen to be technically supportable under close examination, the intent to mislead is so blatant, so desperate, that it easily qualifies as lying. LCC and CTC and indeed CEoGB should be demanding his resignation immediately. He’s right you know. I don’t think there have been any skiing fatalities in the UK for a few years. Norman Baker could teach those Swiss a thing or two. Blimey, Can you get any more idiotic? He’s trying to defend the indefensible. Why? Is he so scared of losing his position? Is he that much of an unprincipled lackey to the party line? As remerson says, all cycling organizations and indeed all cyclists and in particular the APPCG should be demanding his immediate resignation. But, OK, if the government wants comparisons, let them tell us what the UK got for the investment in, say, 2012, and what the Netherlands got by investing less? This why I dislike British politics. Politicians seem to relish taking advantage of the relative insularity of the average Brit to spout all sorts of garbage about the rest of the world. 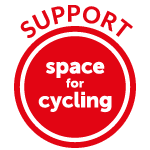 I would rather avoid party politics – politics is complex enough without having to consider the way attitudes to cycling can cut across other existing political allegiances. But I am sure there are at least some Lib Dems who have a sensible attitude to cycling – can they not have a word with this guy? To call his comments here ‘intellectually dishonest’ is would be putting it politely. Its astonishing he can get away with such stuff. Agreed, if only all Lib Dems were like Julian Huppert, he at least makes sense and rides a bike. Norman Baker’s claim about the spending is completely crass and does not stand up to any scrutiny. If it was the case that the Dutch spent less than us, how come they ended up with such fabulous infrastructure. Did they get it from the cycling infrastructure fairy? Of Father Christmas? Putting it another way, if we can have Dutch infra for what we are now spending, then I look forward to having that all in place by this time next year. Bizarre! It’s funny how crap like Niceway Code which is meant to target ALL road users is funded exclusively through the tiny and precious cycling budget. So cyclists are effectively paying for their own crass victim blaming and abuse. A nice little touch there from the govt. Bastards!